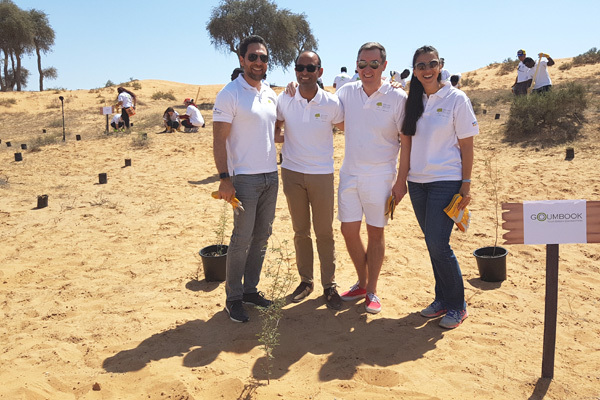 More than 200 associates from Marriott International hotels in the UAE gathered at The Ritz-Carlton Ras Al Khaimah, Al Wadi Desert on March 20, on the occasion of World Planting Day, to plant Ghaf trees - UAE’s national tree. More than 200 Ghaf trees were planted in the Heritage Forest on this occasion, adding to the 250 trees planted last year. Associates also took part in a vast desert cleanup in the Al Wadi Nature Reserve. The event was held in presence of Haitham Mattar, CEO of the Ras Al Khaimah Tourism Development Authority; Richard Collins, chairman of the Marriott Business Council; Tatiana Antonelli, founder and managing director of Goumbook, and Amit Arora, general manager of The Ritz-Carlton Ras Al Khaimah, Al Wadi Desert.